Bengaluru, Apr 19 : The Election Commission efforts to give a boost to increase of voting per cent in the IT hub Bengaluru went in vain as the so called learned voters in the State Capital failed to turn up at booths in the first phase of polling held yesterday for 14 seats in Karnataka. The polling reported in the four LS seats including Bangalore rural, Bangalore North, Bangalore Central and Bangalore South was in down trend, according to reports available in the EC office. The per centage has gone to minus as compared to 2014 MP election and minus 5.27 per cent was reported in Bengaluru North where 51.26 per cent polling reported as against 56.53 per cent (2014) in the polling held yesterday and the downward trend was reported also in Bengaluru Central (50.84 per cent in 2019, 55.64 per cent in 2014–minus 4.80 per cent), Bengaluru Rural (64.09 per cent and 66.45 per cent- minus 2.36 per cent) and Bengaluru South 54.2 and 55.75 per cent, minus 1.55 per cent). The overall percentage of voting in the 14 segments, there is slight increase in polling that touched 68.05 as against 67.76 per cent in 2014 elections. 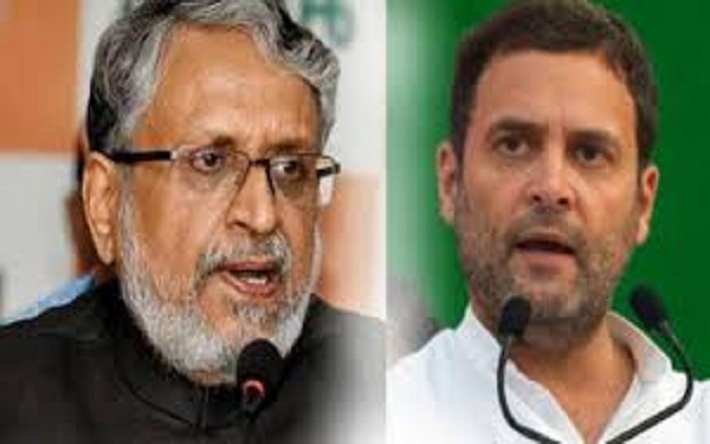 Bihar Deputy Chief Minister Sushil Kumar Modi on Thursday filed a defamation case against Congress President Rahul Gandhi for his reported statement that “all thieves have Modi in their surnames”. The senior Bharatiya Janata Party (BJP) leader told the media here that his lawyer filed the case in the Chief Judicial Magistrate’s (CJM) court in Patna under Section 500 of the IPC. He added that the court was likely to hear the case on April 22. Sushil Modi had announced on Tuesday that he would be filing the case against Gandhi as it “it defames and hurts the sentiments of everyone who has the Modi surname”. He has also objected to Gandhi’s ‘chowkidar chor hai jibe. Businessman Vijay Mallya, who is wanted in India for defaulting crores in loans to his failed Kingfisher Airlines, took to Twitter again this morning to hit out at Prime Minister Narendra Modi. The fugitive liquor baron said that by PM Modi’s assertion that the recovery of assets was higher than the alleged Rs. 9,000 crores he owed. Vijay Mallya faces extradition to India on fraud and money laundering charges. His tweets came a day after embattled carrier Jet Airways decided to temporarily suspend all operations. Vijay Mallya had expressed his solidarity with its founder Naresh Goyal and said private airlines were discriminated against by the government. “None other than the Prime Minister of India specifically says in an interview that his Government has recovered more money than I allegedly owe PSU Banks and the same Banks claim otherwise in English Courts. Who does one believe ? One or the other is lying,” Vijay Mallya tweeted. None other than the Prime Minister of India specifically says in an interview that his Government has recovered more money than I allegedly owe PSU Banks and the same Banks claim otherwise in English Courts. Who does one believe ? One or the other is lying. The businessman had earlier this month said that the Prime Minister’s statements that recovery of Rs. 14,000 crores worth of his assets has fully vindicated him in his assertion of being a “poster boy” for the BJP-led government. He is wanted in India for defaulting on Rs.9,000 crore in loans to his failed Kingfisher Airlines. Bogged down by a massive financial concern, the full-cost airline closed operations in 2012. Vijay Mallya, 63, has repeatedly urged banks to take 100 per cent of the principal amount he owes them. A group of 13 banks, led by State Bank of India (SBI), are trying to enforce a worldwide freezing order upheld by the UK High Court in May last year through a number of follow up court orders. Bengaluru, Apr 18 : Defence Minister Nirmala Sitharaman, former Prime Minister and JDS Supremo, Karnataka Minister Krishna Byregowda are among the early voters in the first phase of Polling which began in the State for 14 Lok Sabha seats today. Overnight showers in the State Capital and across South Karnataka helped bring down the heat as voters voters started arriving early at the polling booths. However, as the polling began on a brisk note the mercury also started increasing and voters were seen standing in queues near the polling booths. Union Minister D V Sadananda Gowda, former Minister Revanna Minister D K Shivakumar also joined among the early voters by exercising their franchise with family in their respective Polling booths. The other prominent personalities who voted early were member of Mysore Royal Family Yaduveera Krishnadatta Wodeyar, S M Krishna, cricketer Anil Kumble and prominent seers Sri Vishwesha Theerta swamiji, Sri Siddaganga swamiji and Sri Shivaratri Deshikendra swamiji. Police sources said that Polling was picking up and it was peaceful through out 14 Lok Sabha constituencies. 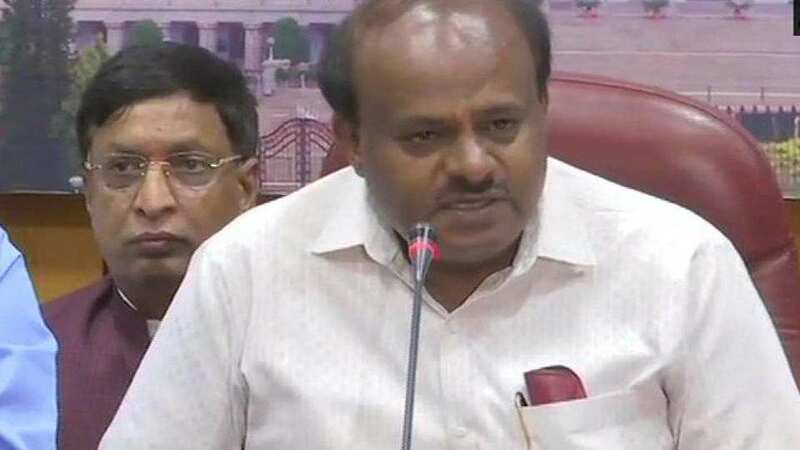 Ramanagara, Karnataka, Apr 18 : Terming the 2019 Lok Sabha elections as very crucial, Karnataka Chief Minister H D Kumaraswamy predicted that the outcome will certainly bring a change in the country’s politics. Speaking to newsmen, after casting his vote in Kethagaranahalli polling station in the District, he said that “People are expected to bring to an end to the Modi governance at the Center”. Stating that a non-BJP government would be formed at the Center after the Elections, he said that “People were waiting for an opportunity to unseat the BJP government led by Prime Minister Narendra Modi”. Replying to a question, Kumaraswamy said that “The Congress-JD(S) alliance candidates are expected to win more than 22 seats of the total 28 at stake”. “In Mandya, the Media gave more publicity to the Independent candidate Sumalatha than the Prime Minister Narendra Modi” he added. Earlier, Chief minister, accompanied by his wife and MLA, Anita Kumaraswamy and son Nikhil, arrived to the Polling station and cast their votes. The Chief Minister appealed to voters in the State to exercise their constitutional right by visiting polling booths. 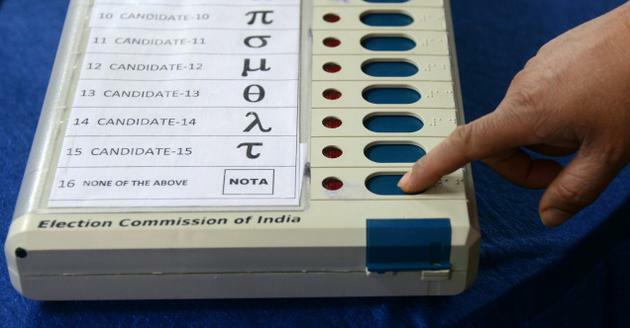 Bengaluru, Apr 18 : An estimated 15 per cent polling was reported in 14 Lok Sabha segments in the first phase of election (second phase in the country) at 10 AM. Official sources said polling was peaceful throughout the 14 segments and barring minor glitches in EVMs the voting process was carried out seamlessly. Karnataka Director General of Police Neelamani S Raju said no untoward incidents reported from across the 14 segments and polling remained totally peaceful. Polling ws brisk in Dakshina Kannada segment where BJP’s Nalin Kumar Kateel is seeking his third term. It accounted for 32.10 per cent by 11 AM while it was lowest in Bengaluru Rural at 13.54 per cent. In the other segments, Udupi-Chikkamagaluru recorded 29.01 per cent, Hassan 23.31 per cent, Chitradurga 16.75 per cent, Tumakuru where former prime minister H D Devegowda is the JD(S) candidate 22,62 per cent, Mandya 17 per cent, Musuru-Kodagu 19.99 per cent, Chamarajanagara 19.21 per cent, Bangalore North 15.85 per cent, Bangalore Central 15.27 per cent, Bangalore South 19.69 per cent, Chikkaballapura 17.57 per cent and Kolar 20/22 per cent. 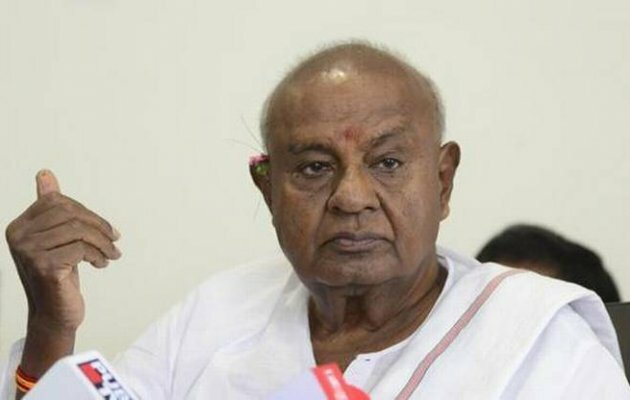 Prominent among the total number of 241 candidates, who are in the fray in the first phase included former Prime minister H D Deve Gowda (Tumakuru), his two grand-sons, Nikhil K (Mandya), Prajval Revanna (Hassan), Union Ministers DV SadanandaGowda (Bengaluru North), K H Muniyappa (Kolar), V Srinivasprasad (Chamarajanagara), Veerappa Moily (Chikkaballapura), Rajya sabha member B K Hariprasad (Bengaluru South) and State BJP General secretary Shobha Karandlaje (Udupi-Chikkamagaluru). Top politicians and their family, seers and other prominent personnel queued up early in the morning to exercise their franchise and the early birds who turned up the polling booths were chief minsiter H D Kumaraswamy, former prime minister H D Devegowda, Union minister Nirmala Sitaraman, D V Sadananda Gowda, former chief minister Siddaramaiah, former External Affairs Miniser S M Krishna, Veerappa Moily ,Actor-turned politician Prakash Rai (Raj), member of Mysore Royal Family Yaduveera Krishnadatta Wadiyar, Infosys co-founder Narayana Murthy and his wife Sudha Murthy and seers including Pejwar Mutt head Viswesha Thirtha, Siddaganga Mutt seer Sidddaganga swamiji and Suttur Mutt seer Shivaratri Deshikendra swamiji, ace cricketer Anil Kumble and others. In a tragic incident assistant polling officer Shantamurthy (48) died due to cardiac arrest while he was discharging his duties at polling station No. 48 in Hanur town coming under Chamarajanagara segment. He was the principal of Hanur Government college. Soon after polling began he fell ill and was shifted to nearby hospital but died. Meanwhile polling process could be affected as weatherman has warned of widespread rains in the South Interior Karnataka late this afternoon. The region reported heavy rains in many districts in South Karnataka. This has caused concern among the candidates who fear that voting percentage could be affected. at his Polling booth today. According to Official sources the deceased was identified as Shanthamurthy (48), Principal of a College at Hanur. 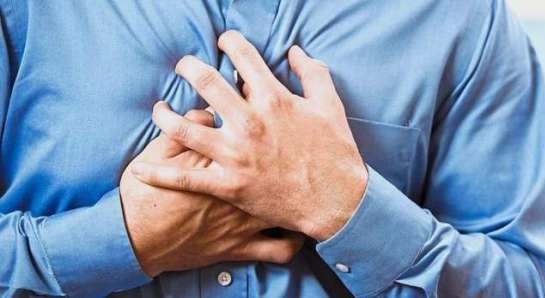 He complained severe chest pain and was immediately rushed to nearby Hospital where he breathed last. The forum observed that if companies were really worried about the environment, they should provide environment-friendly bags for free to their customers. Bata India Limited has been told to pay Rs 9,000 to a consumer for deficiency in services. Acting on a complaint filed by the customer, a Chandigarh consumer forum has slammed Bata for asking the customer to pay Rs 3 for a paper bag. In his complaint, Chandigarh resident Dinesh Prasad Raturi, told the consumer forum that he had purchased a pair of shoes on February 5 from a Bata store located in Sector 22D. The store charged him Rs 402 which also included charges for the paper bag. Raturi told the forum that by charging him for the bag, Bata was also endorsing its brand on the bag which was not justified. The complainant sought a refund of Rs 3 and compensation for deficiency in services. Countering this, Bata India refuted the allegations of deficiency in services. The forum said compelling a customer to pay for a paper bag was a clear deficiency in service as it was the store’s duty to provide a free bag to the customer who had purchased their product. The consumer forum has also directed Bata India to provide free paper bags to its customers. It also observed that if the companies were really worried about the environment, they should provide free environment-friendly bags to their customers. The forum in its decision has directed Bata India Limited to refund the cost of the bag (Rs 3) and litigation charges, i.e. Rs 1000. Besides asking Bata to pay Rs 3000 as compensation to the customer for the mental agony caused by deficiency in services, the forum has also directed the leading shoe brand to deposit Rs 5,000 in the legal aid account of the State Consumer Disputes Redressal Commission. The Chandigarh consumer forum’s decision is an eye opener for stores that compel customers to pay up to Rs five for carry bags. Mohammed Mohsin was suspended with immediate effect for acting contrary to the instructions of the Commission concerning SPG protectees. The Election Commission on Wednesday suspended a General Observer belonging to Karnataka IAS cadre for allegedly checking Prime Minister Narendra Modi’s helicopter in Odisha’s Sambalpur on Tuesday. Mohammed Mohsin was suspended with immediate effect for acting contrary to the instructions of the Commission concerning SPG protectees and will be posted at Sambalpur till further orders, a poll panel letter dated April 16 said. A Karnataka cadre officer of the Indian Administrative Service, Mohsin was deputed as a General Observer and working under the supervision of the poll panel in Odisha. “… the Commission has considered the material available before it and prima facie finds it dereliction of duty,” said the letter. Sources told the Times of India that when PM Modi reached Sambalpur to address a rally on Tuesday, election officials inspected his convoy, which constituted a violation of protocol. The Prime Minister had visited Odisha on Tuesday and addressed two rallies in Sambalpur and Bhubaneswar. Mohsin is presently secretary in the backward classes department. Karnataka Chief Secretary TM Vijay Bhaskar said he was not aware of the incident and said the state cannot intervene in the matter. Earlier this week, the Karnataka Congress had tweeted a 14-second video clip showing two men carrying a black box allegedly unloaded from Prime Minister Narendra Modi’s helicopter to a private Innova parked at a helipad, claiming that the video was filmed soon after Modi landed in Chitradurga last week to address an election rally. The Congress demanded that the EC conduct a probe into the same. Earlier in February, the National Sample Survey Office’s (NSSO’s) periodic labour force survey (PLFS) had stated that India’s unemployment rate hit a 45-year high of 6.1 per cent in 2017. The NSSO report was reportedly based on data collected between July 2017 and June 2018 and is the first official survey post-demonetisation. However, the NITI Aayog debunked claims of jobless growth saying that the report was not a final one. Earlier, the Centre for Monitoring Indian Economy (CMIE) had stated that 1.5 million jobs were lost just in the first four months of 2017—immediately after demonetisation of old 500 and 1000 rupee notes. The issue hogged the limelight after two independent members of the National Statistical Commission — acting Chairman PC Mohanan and JV Meenakshi — resigned on January 28 over a disagreement with the Government on certain issues. One issue pertains to the government withholding the release of the results of NSSO’s quinquennial survey, for the year 2017-18 even though the commission approved the report. This gains significance in the wake of the government being criticised for a scarcity of jobs in the country.